I believe throughout history, the one thing that follows after chaos is none other than PEACE. In our own lives, there are many wars and I do not mean physical wars but more of emotional wars. I would like to write more about wars relating to keeping animals as pets. I am not sure about others, but both my parents have seen me gone through wars growing up having pets throughout my life. The many wars do have a great adverse effect on their pockets too, but that is besides the point. The wars were intense and so much so, they tend to say that I love to “Chook Choong Yap Si Fatt” (henceforth CCYSF in short). CCYSF means “cari pasal” in Bahasa or plainly put, “looking for trouble”. When translated directly, it means inserting worms into one’s @ss. The Chinese community really have a way of explaining things no thanks to all the proverbs the learned have discovered throughout history. To explain further on the term, worms usually are expelled from the @ss when we go through deworming, getting rid of the “troublesome” worms in the process. Inserting worms into the @ss simply is the opposite denoting how one tries to inject troubles into one’s life. My parents are still clueless as to why I love to keep pets and all the headaches that come along with the hobby. Come to think about it, life could be less burdensome minus all the daily bunny chores, expenses and dramas. I am sure life for all of us are pretty peaceful if all the dramas did not exist. Somehow, I believe we humans tend to grow restless when there is peace. We need something to jolt us out of our “comfort zone” or peace. Most of the time, I noticed chaos in a new bunny owner’s life. Mind you, I have had my fair shares of chaotic situations and my wife can attest to that. It boggles her until today why I like to CCYSF just like my parents too. Every pet owner can experience many degrees of chaos while raising their pets. Chaos comes in its greatest force to those who are extra paranoid. Paranoid bunny owners tend to CCYSF more than others. An example would be like those who are so concerned that their doe do not nurse its kits and interferes causing the death of the kits. A grave mistake for not understanding the behavior of a doe in the wild that leaves her nest so not to draw attention to it. Since 2007, no one can imagine the chaos I went through. But for each chaotic moment, it offered me an opportunity to find PEACE. Imagine that back then, awareness about Hay and quality rabbit food were almost none existent. How far have we come? There was so much trouble on my mind and the song Bridge Over Troubled Water was just not the song for me. When we have trouble with finding good rabbit food. THERE IS CHAOS. When someone acts up and cuts you off rabbit food. THERE IS CHAOS. When our rabbits go off feed. THERE IS CHAOS. When someone cheats you by selling you a sick rabbit. THERE IS CHAOS. When work, family and other life priorities over take our hobby. THERE IS CHAOS. When our rabbit’s teeth grows awkwardly. THERE IS CHAOS. When we import rabbits. THERE IS CHAOS. When we worry for our RM xxxx imported rabbit. THERE IS CHAOS. When our rabbit dies. THERE IS CHAOS. When our does are not interested to breed. THERE IS CHAOS. 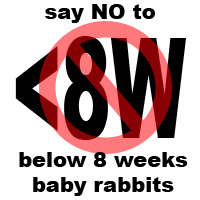 When our the rabbitry is filled with too many babies. THERE IS CHAOS. When our rabbit have mites. THERE IS CHAOS. There is so much chaos, how can we find PEACE? For all these CHAOS, I can (not so) gladly say that I have been through them all and have found the best solutions for all of them. What do I do with all these knowledge? 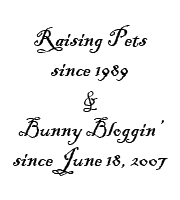 As far as I know, I have poured out into this blog hoping to bring PEACE to fellow rabbit owners. Unfortunately, sometimes I really feel that by doing so, I have done what I have always been doing, CCYSF! Why do I share information that can otherwise earn me some big bucks? That is because I love to Chook Choong Yap Si Fatt! I strongly believe that bad breeders, liars and cheaters only deserve to live in my @SS! 2013 continues to be a PEACEFUL year because we have many wonderful products to support our bunny hobby. Both Genesis Ultra Premium & Versele Laga Rabbit & Guinea Pig food have proved to be very reliable brands. I have PEACE knowing that my rabbits are given the best! Our very own TinyCritterz.com Timothy Hay have also rise to the occasion in bringing PEACE to many rabbit owners as far as fulfilling the chewing and fiber needs of their rabbits. Whenever you feed TinyCritterz’s Timothy Hay, rest assured that is exactly what I feed at Tru-Luv Rabbitry. My mind would be at PEACE if I were you. We been through the CHAOS, you enjoy the PEACE we found. Just before I end my New Year’s Day post, I would love to share the best question I received in year 2012. I must first thank the people who have asked me this question. I know they asked because they see me as an expert and could offer help. For that, I must thank all of you for looking so highly on me. However, when I first receive this question, I was dumbfounded. In actual fact, I do not have the answer and I do not think that I will ever have the answer. At that moment, I can only wish that I can be one of the Transformers robots. If I were a Transformers robot, I would love to be named RABBIMUS PRIME. I would really love to be a rabbit to know why the doe was not interested in breeding. I would like to be able to have a rabbit to rabbit, one to one talk. Perhaps I will be able to solve one of the biggest CHAOS most breeders go through. One of the resolutions I have for year 2013 is to be a Rabbit Whisperer and the other is to bring more PEACE solutions to fellow bunny owners’ lives (No thanks, I do not need a Noble Prize)! May you have less CHAOS and more PEACE in 2013! HAPPY NEW YEAR EVERYBUN AND EVERYONE!